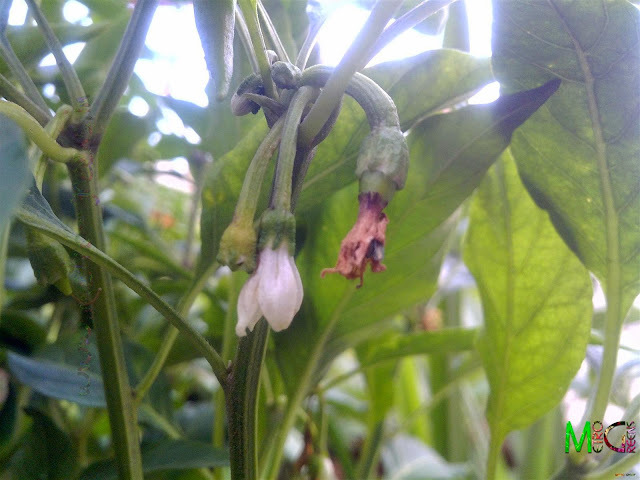 Green chillies have always been an integral and quite less celebrated part of my gardening adventures. Maybe, this has something to do with their taste, the hot to handle taste of green chillies is something I have always feared. 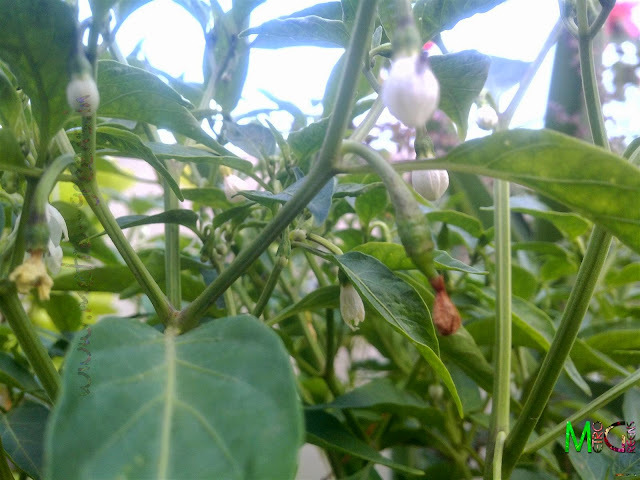 The higher the fear of its taste the higher is the love towards watching the small white flowers turning into green chillies in easy to grow chilli plants. 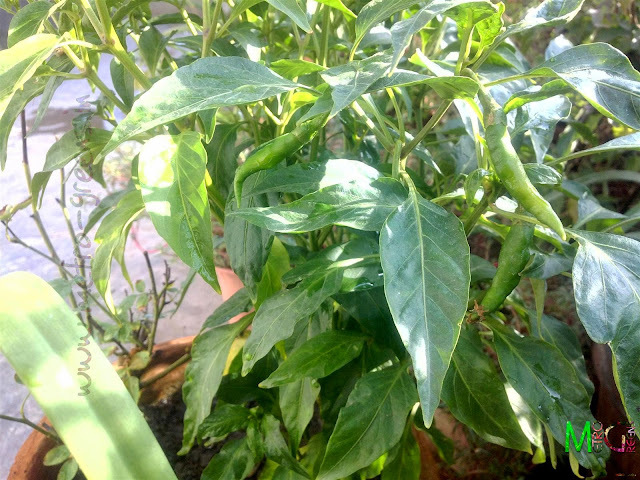 Chilli plants, are by far, one of the easiest vegetable (actually, spice or condiment) plants. You just need some seeds of chilli (preferably from dried red chillies), which can easily be procured from provision stores and such. Like, in my case, my mother buys dried red chillies from the local provision store to prepare red chilli powder. 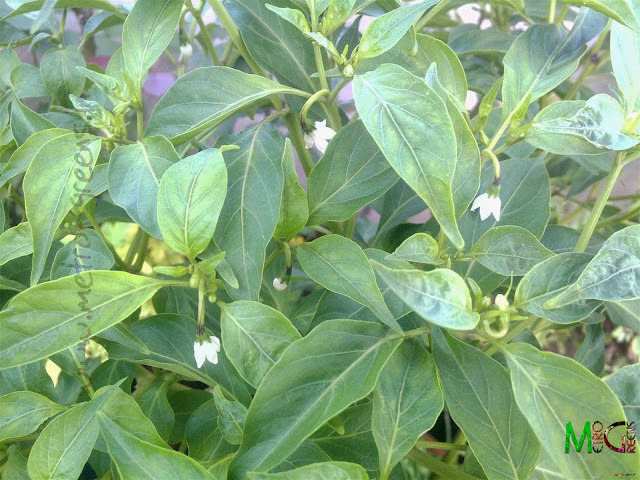 As a result, we get a lot of chilli seeds, which when sprinkled in pots give us lots of chilli plants. 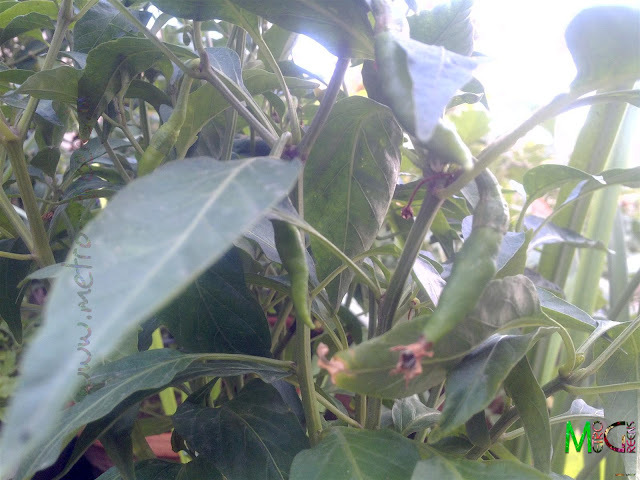 This monsoon, we got a lot of chilli plants from seeds that germinated. 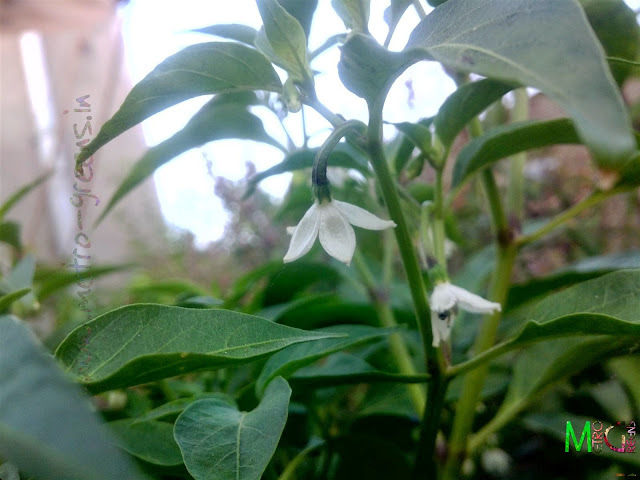 A number of these plants grew to mature and now are blooming and some of the plants are bearing green chillies. 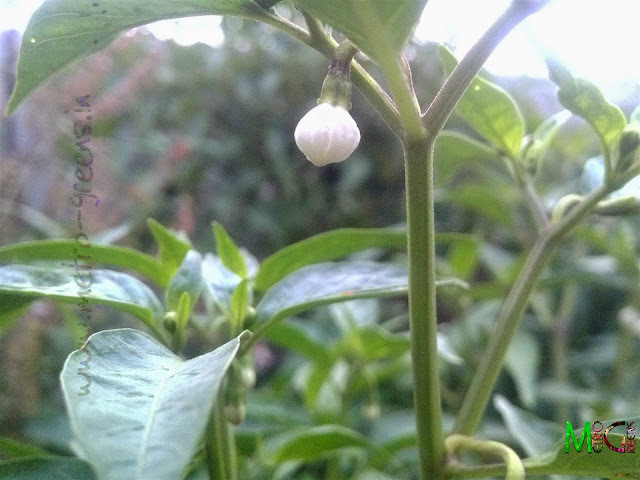 So, this time, I am going to share some of my chilli plants. 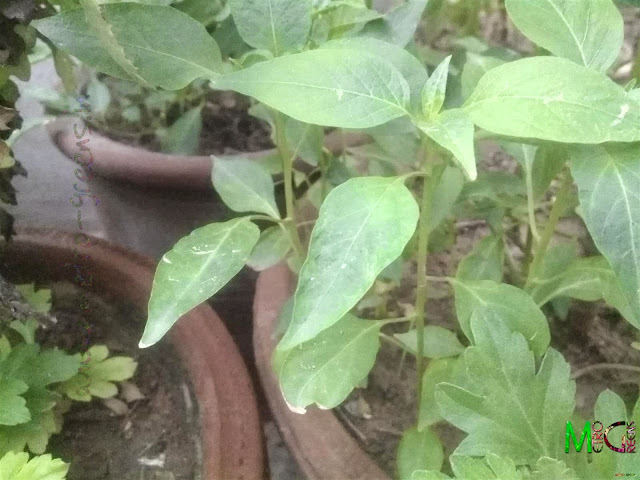 These plants are at different stages of growth. Recently we have sowed some more chilli seeds, and these also have germinated. Some of the plants have grown a bit, some others are about to start blooming, some are blooming and some are bearing fruits. As I have always maintained, it is always a treat to watch your plants bearing fruits or flowers, even if you are not going to have the fruits, still, it's a great sense of pleasure watching the plants bearing fruits. The monsoon this year has been quite ineffective, atleast in this part of the country. The rains have been missing for quite a significant part of the season. 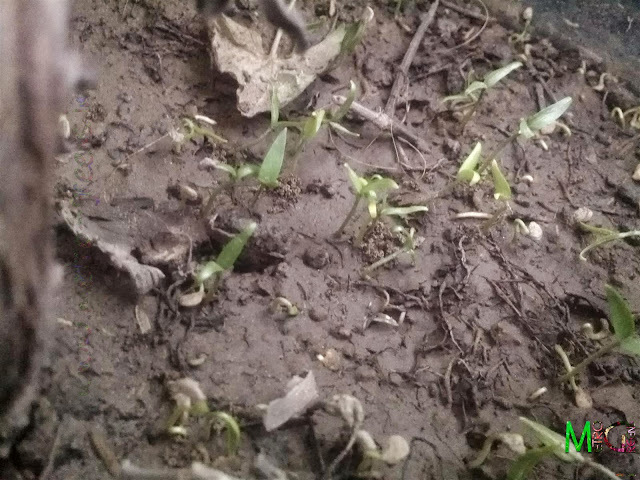 This has negatively affected the growth of the plants, and also planting new ones. The heat, as a result, has been acting harshly against new plant growth. Still, life goes on. I am trying to keep the plants available with me, alive, atleast. But, the weak monsoon season has drastically affected sowing new seeds and getting new plants. Of the cosmos and gaillardia saplings that I got, most of the cosmos saplings survived, while the gaillardias were not so lucky, leaving me with just one gaillardia plant that went into blooms, and there is one more that survived, just survived, with a stinted growth. I will share the gaillardia bloom in the upcoming post. Till then, I hope the cosmos plants will also reach blooming stage. I will be back with some more updates soon. Till then HAPPY GARDENING! Yes, it's always a great idea to try and grow whatever you can. Best of luck for it and I hope that the idea does click.